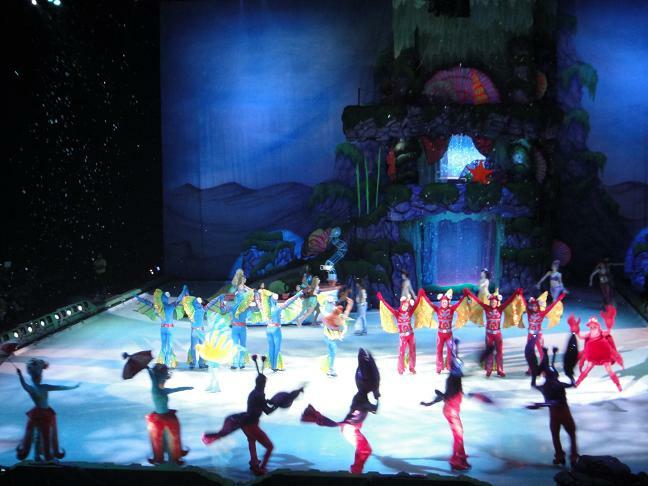 Watching Disney on Ice every January is starting to become a tradition. The theme this year is Princesses and Heroes. It’s freaky that they seem to come up with themes parallel with Iya’s developmental preferences. Last year was all about Mickey and Minnie, which she has been a fan since she was a year old. She was looking forward to this show because she wanted to wear her “Tangled” purple gown but Henry vetoed the idea. He said it was too much. We were both disappointed. 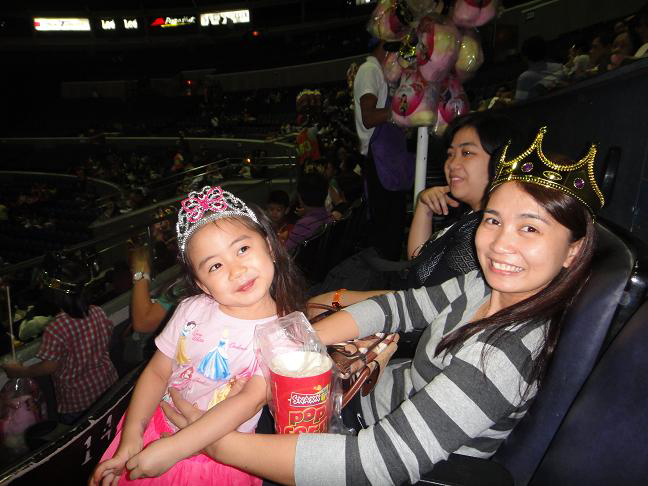 So when Iya saw little girls wearing their princess gowns she questioned why she wasn’t wearing one. I just said that our seats are far from the stage and only those at the bottom are required to wear gowns. She said that we should buy closer tickets next time (oh oh!). 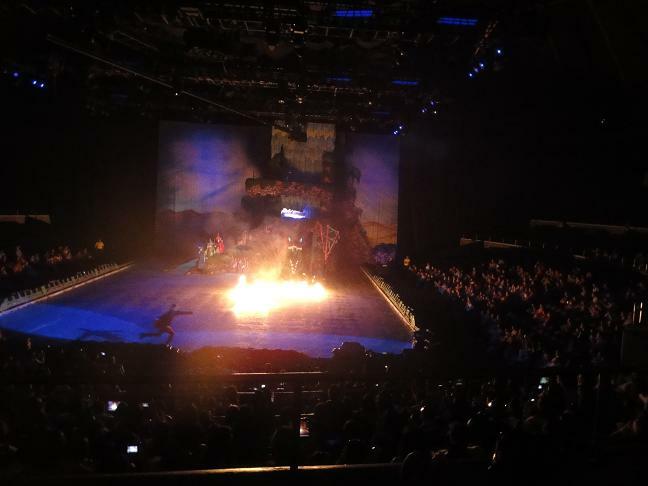 The set was surprisingly magical. The only thing I did not like is that people take pictures using flash! It was very disturbing and irritating. Nevertheless, we all had fun and even up to now she still asks when can we repeat it again. Pictures before the performance and during intermission. 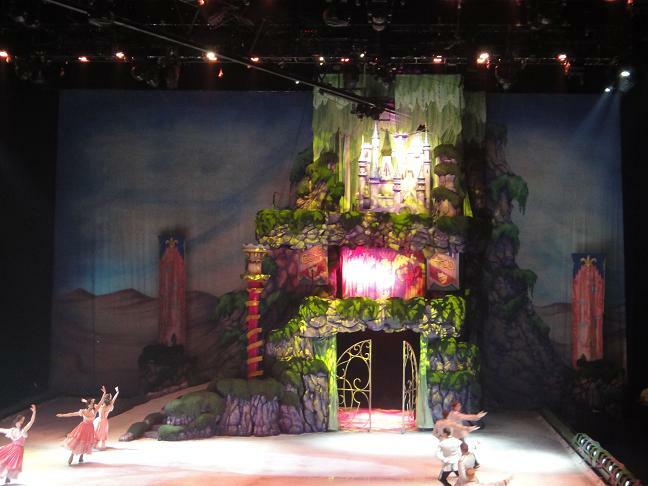 Our favorite part from sleeping beauty where prince Philip battles the dragon. The grand ball of Cinderella. I love the mini castle at the top part of the set.